Nuclear energy is our certain right. 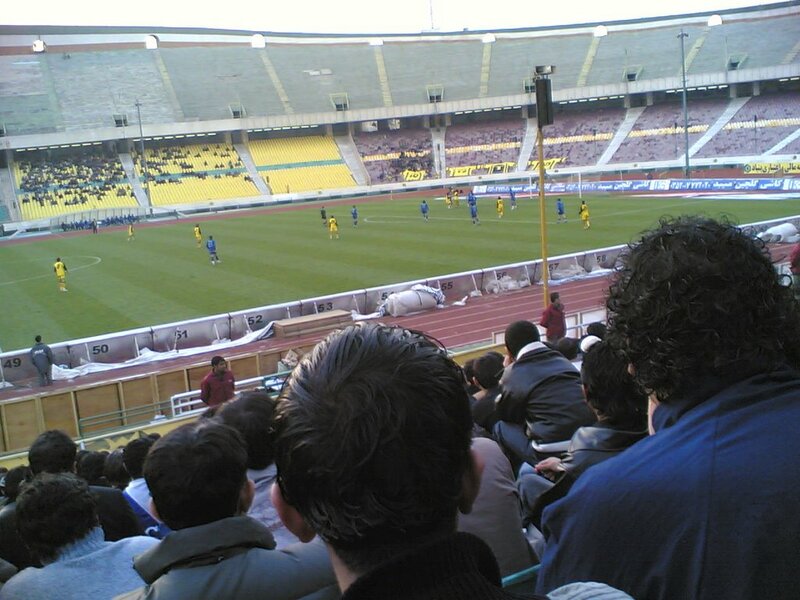 Iranian women are not allowed to attend actual matches which are held in the coliseum. A weblog which cover news and developments about smarra explosion by students from Qom Hawzah . I really cannot figure out how moslems!? could do such actions? Even he was a Sunni Moslem. We must have for everything a national version AND I really don’t understand why. We have national car, national engine, national dress, national plane, national media and…. Yes even our internet is national .we want to spend 1 milliard $ for set up this amazing internet for you in Iran. We want when ever we decide switch off Iran connection with outer world without any disrupting in our E-government services (yes we know and have E-Government in Iran) . With national internet (N.I) there is no need for yahoo or Google for you. We have national chat rooms in (N.I) that we could guide you in these rooms. What? You need international! Internet for researching? - Why don’t you use books like 20 years ago? With N.I there is no need we waste our money for buying filtering software from American companies for blocking sites which detour you from our heaven . when you email a letter or request for a Iranian site there is no need that letter or the request first goes to united state (because we have not backbone and hosting ) and read or record by CIA agents then comeback to Iran . In N.I only our agents read your letter and record your activates on the net. and a lot of personal weblogs. Who is the nuclear? Is she beautiful? 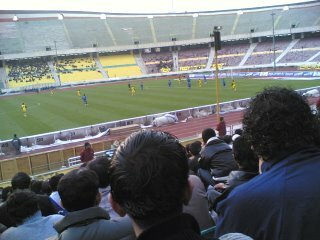 Yesterday for the first time I went to stadium for a soccer match, It was a good day with a lot of fun and excitement. In stadium easily you heard insulting to others and I must confess it has a lot of fun when I called players or referee “stupid” (maybe I must go to a psychiatrist) ,others insulting too but their swears were what that maybe I never heard before . 1- I don’t doubt that behavior of other countries about Iran’s nuclear program is unfair and many of their pleas from Iran is not logical but I also believe Iran’s tactic in facing this crisis ( especially in recants months) is not logical either. 2-I think my comments about people may become like views of a foreign journalists who visit Iran (a kind of exaggeration) so please mention that my views are not involved all the people. I really bewildered when i see these paradoxes. if newspaper reprint these offensive cartoons about PROPHET MOHAMMAD for insisting that they have freedom of speech so could you in comments put a link to a newspaper that printed an offensive cartoon about Jesus ? Update: when i saw attack to embassy of Denmark in Damascus i said to myself i am sure such action never happen in Iran. but today when i saw people climbed form wall of Denmark embassy i really embarrassed .